Many people are intimidated by the subtleties of fly casting, the myriad of flies, and the fine points of entomology, all of which make up the sport of fly fishing. 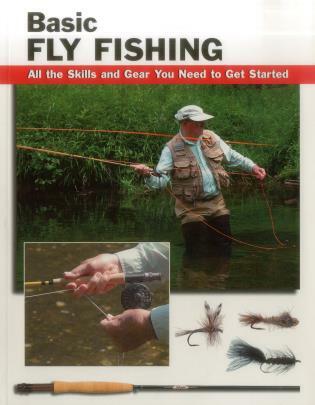 Getting started does require a set of skills and knowledge about casting, fly selection, knot tying, reading the water, and tactics, and Basic Fly Fishing provides these essential facts and skills so you can get out on the water and catch fish. Lefty Kreh has been an outdoor writer for more than 45 years and was named "Angler of the Year" by Fly Rod and Reel magazine in 1997. He currently can be seen fishing with Tom Brokaw, Yvon Chouinard (founder of Patagonia), and Michael Keaton on the Outdoor Channel's Buccaneers & Bones. He lives in Hunt Valley, Maryland. Barry and Cathy Beck are renowned outdoor photographers based in Benton, Pennsylvania. Jay Nichols is the former managing editor of Fly Fisherman magazine and lives in Pennsylvania.